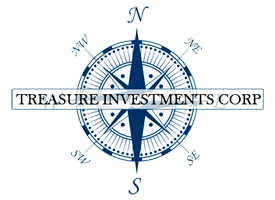 LAKE OSWEGO, Oregon, October 4, 2017	(Newswire.com) - Mark Russo, CEO of Treasure Investments Corporation, will begin casting its sculpture images in .999 fine silver and .9999 fine gold. TIC will be participating in numerous investment and major trade conferences in 2018 including the New Orleans Investment Conference, Hard Asset Investments and the World Money Show to name a few. 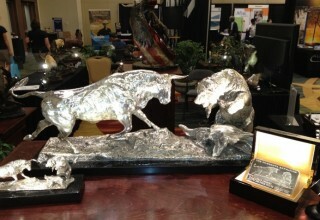 Russo, no stranger to selling pure silver sculptures, sold over 100,000 ounces of silver pieces in just a few years after attending a few select conferences including the San Francisco Hard Asset Investment Conference where in just a few hours sold 22 sculptures of a 1000 ounce .999 pure silver bull and bear piece by Lorenzo Ghiglieri. 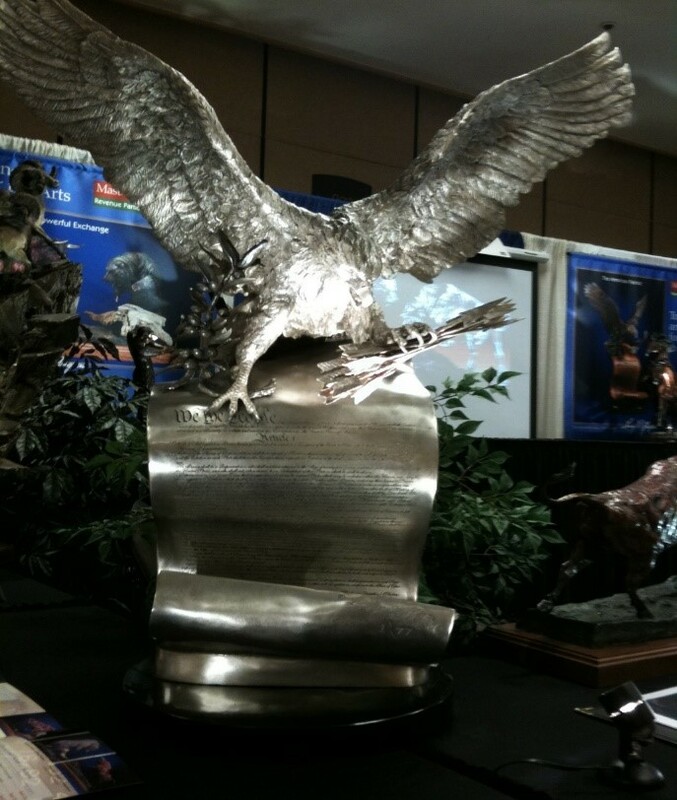 "When at the right venue, with the right product in a precious metal, especially in pure silver people really get excited. We sold over $1 million in silver sculptures in a few hours showing our new 1000 ounce bull and bear piece entitled the 'New Powerful Exchange,'" says Russo. 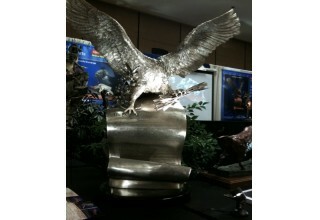 Treasure Investments will begin casting its landmark image of the bull and bear and American Patriot, an eagle perched atop Article One of the U.S. Constitution, in both pure silver and solid gold. 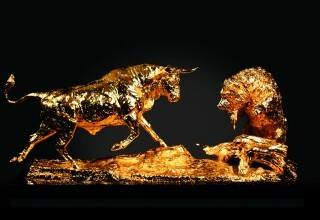 In addition to the bull and bear and eagle image, TIC plans to cast many of its newest pieces in precious metals, including the new just released piece "Stage Coach Gold," an 1860s Wells Fargo stagecoach with a six-horse team. 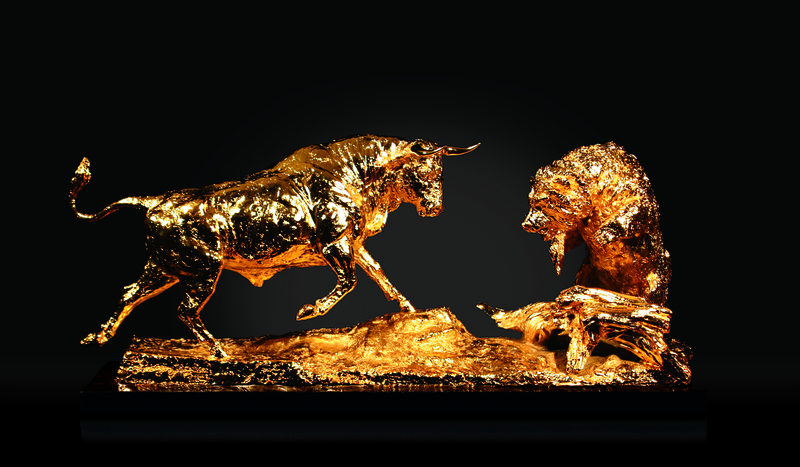 "Treasure Investments Corp is now positioned to be the sole provider of high-end bronze sculptures for nonprofit auctions throughout the United States," says Russo. "With more than 600,000 live charity auctions per year, and growing daily, the ability for Treasure Investments Corp to scale its auction model is beyond exciting for just one of its profit centers."